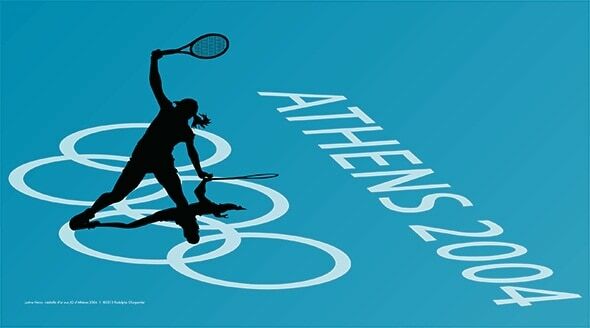 Tennis was part of the Summer Olympic Games program from the inaugural 1896 Summer Olympics, but was dropped after the1924 Summer Olympics due to disputes between the International Lawn Tennis Federation and the International Olympic Committee over allowing amateur players to compete. 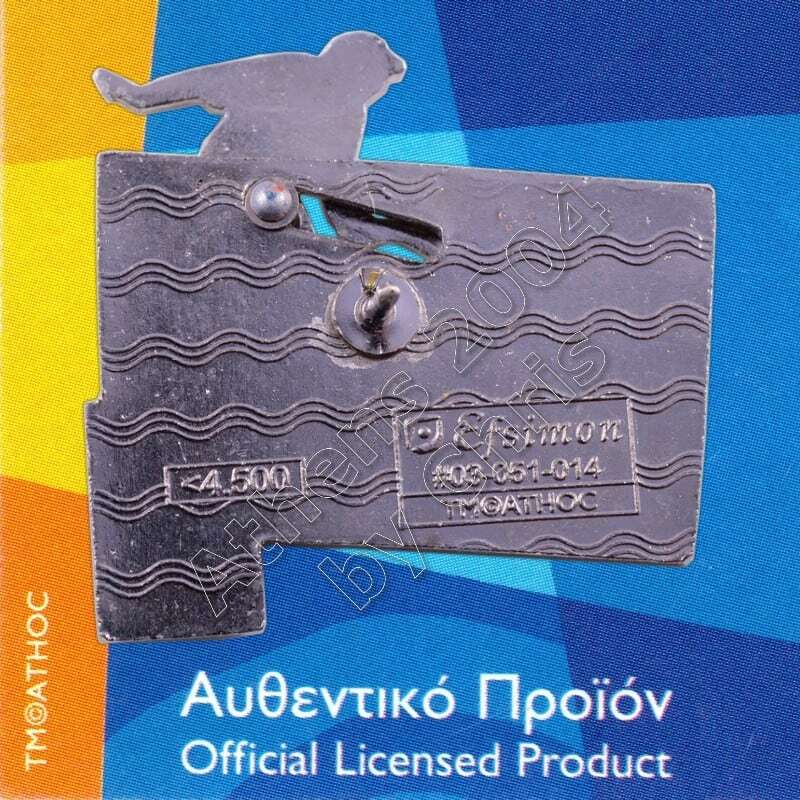 After two appearances as a demonstration sport in 1968 and 1984, it returned as a full medal sport at the 1988 Summer Olympics and has been played at every edition of the Games since then. 2012 Women’s Singles medalists,Serena Williams (center), Maria Sharapova (right) and Victoria Azarenka (left). In 1896, 1900, 1904, 1988, and 1992, semifinal losers shared bronze medals. In all other years, a playoff match for the bronze medal was staged. 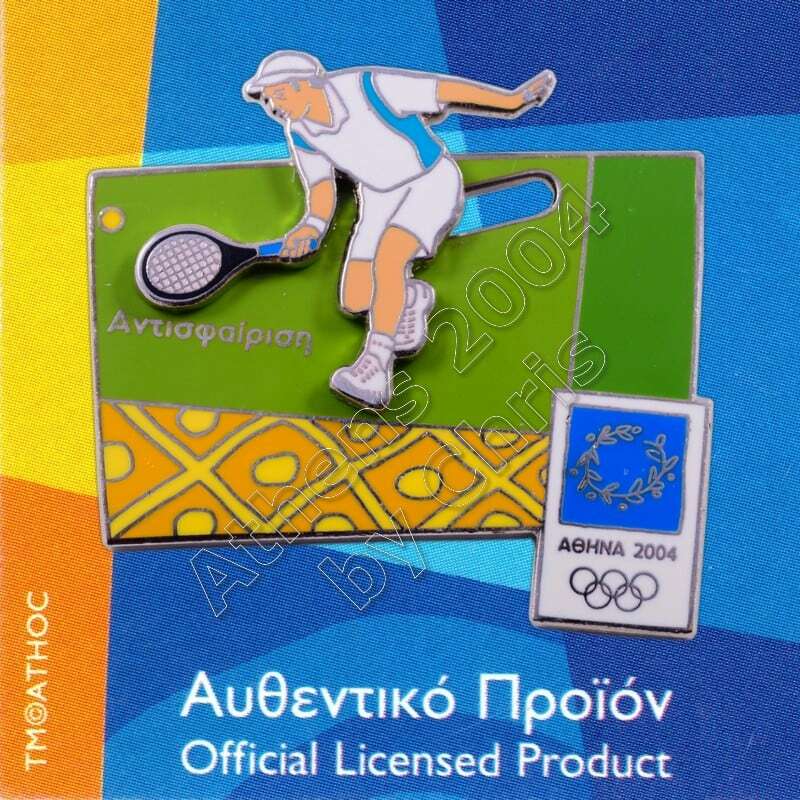 Starting from the 2004 Athens Olympics, results from the Olympics count towards both the ATP and WTA world rankings in singles for that calendar year. 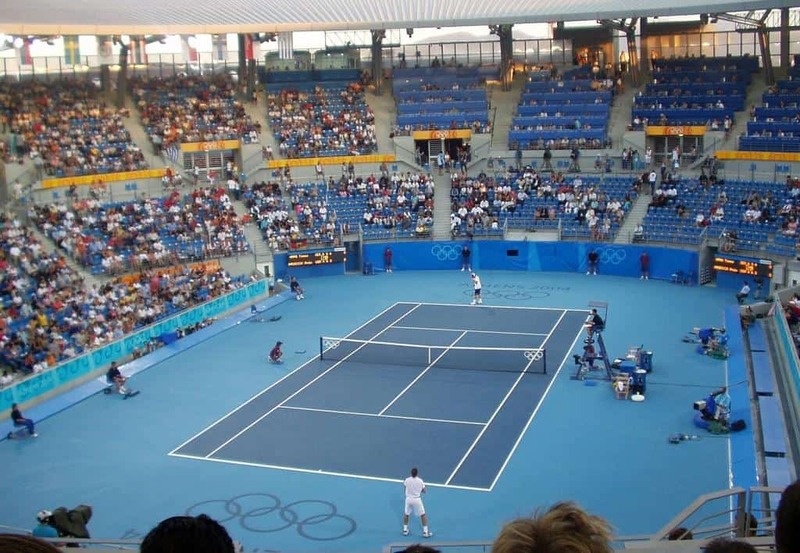 While the ranking points distribution do not equate to those of the points handed out at the Grand Slam tournaments, the Olympic tournaments have increased in perceived importance since their reintroduction, with many players, critics and sports pundits consider winning the gold at the Olympics, just as prestigious as, or more prestigious than, winning a Grand Slam title, and the records of leading players often includes reference to Olympic gold medals when discussing records in Grand Slams. A player who wins an Olympic gold medal and all four Grand Slam events is said to have won a Golden Slam. 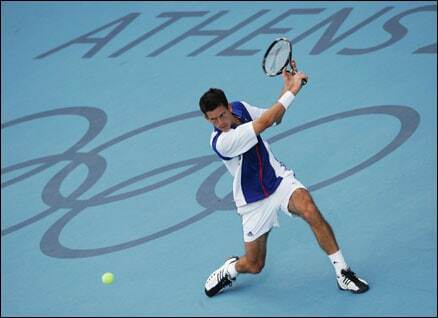 Tennis at the 2004 Summer Olympics in Athens took place on ten separate courts at the Olympic Tennis Centre. 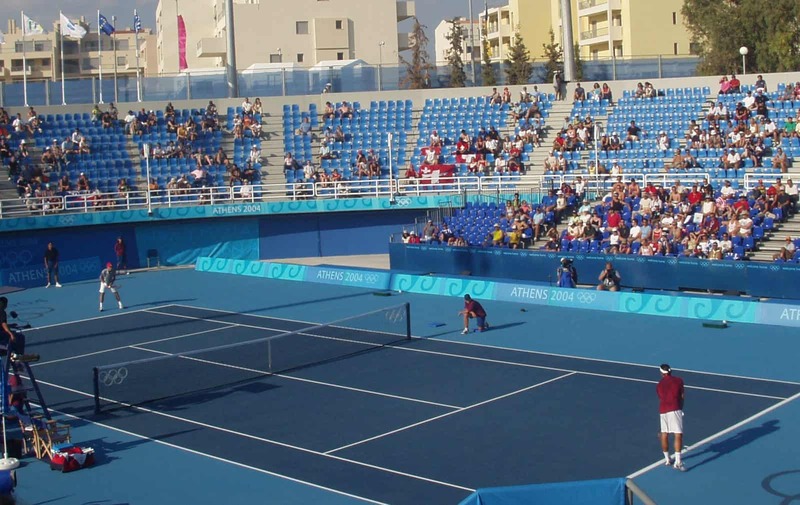 The surface was hardcourt, specifically DecoTurf. 172 players competed in 4 events. 2004 saw more of the top ranked players appearing, as this tournament saw world ranking points allocated to the players for the first time. Martina Navratilova made her first appearance at the Olympic Games where she partnered with Lisa Raymond in the ladies doubles event. Venus Williams was defending her title in the ladies singles as was Daniel Nestor in the men’s doubles although with a different partner. 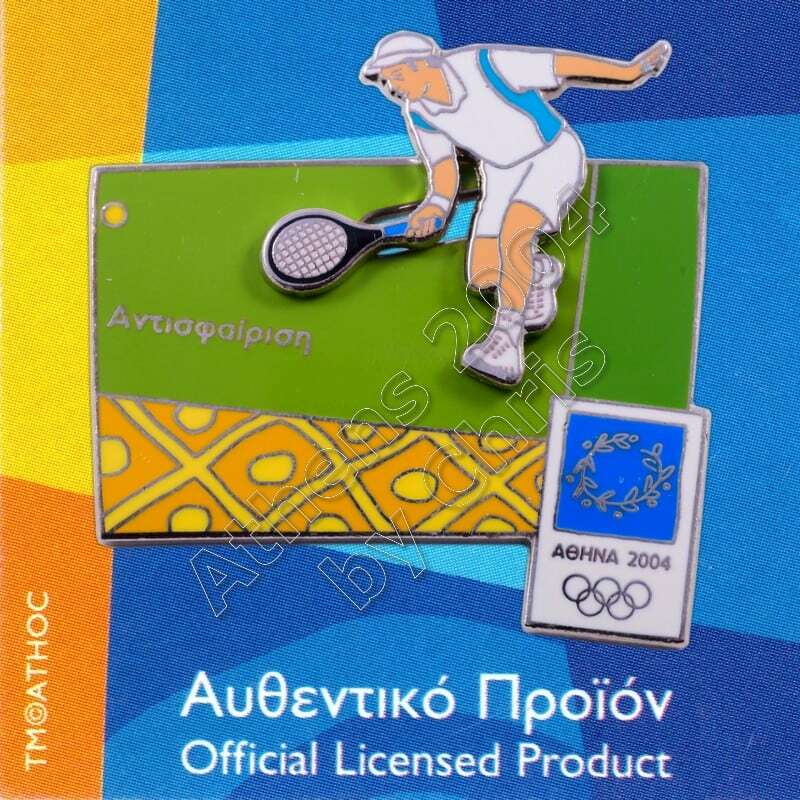 The pin depicting the Tennis sport in action – the athlete in moving on the surface of the pin.